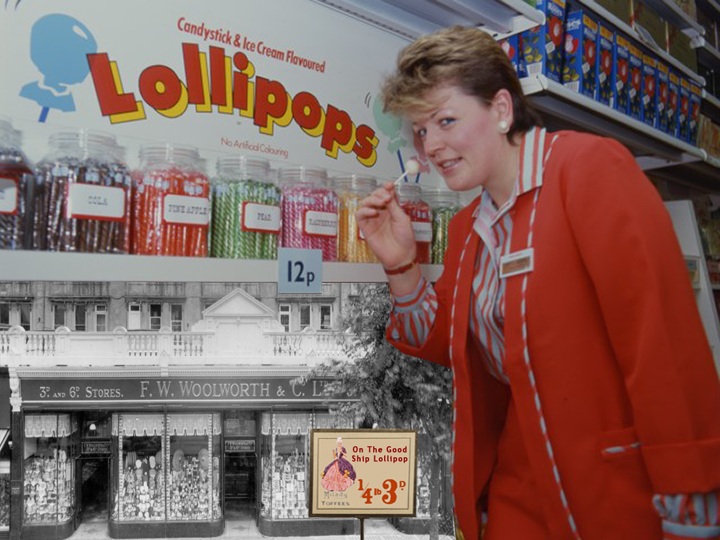 It was the defining range of the High Street stores for almost 100 years and a feature of childhood for five generations. We hardly had any sweets left in the Museum by the time we had made this short film. Enjoy! The backing music is by the Rhythm Masters and is taken from Woolworth's Crown Record No. 3A from 1935. You can download a copy for private use from our Crown Jukebox.